The quality is very great!!! I bought it for a friend and he was very pleased. I highly recommend. The Winchester Reserve is a beautiful men's timepiece. Its automatic movement is cased in a stainless steel case, and the movement is visible through the dial. This comes equipped with a stainless steel link bracelet. 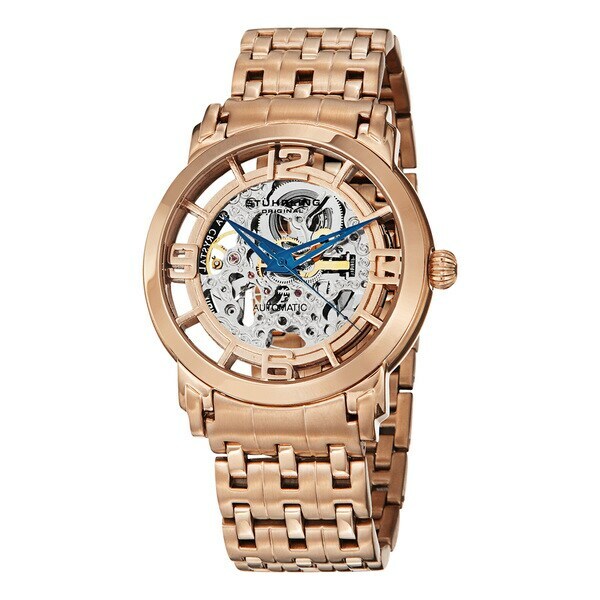 Excellent watch, keeps good time, getting number of compliments when wearing it. "Can I add links if it is too small?" At this time we do not offer additional links.